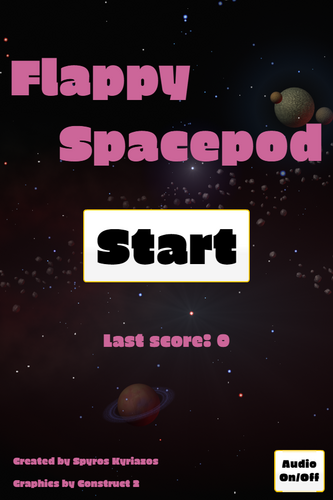 Use the classic flappy bird mechanic to avoid asteroids on your spacepod. 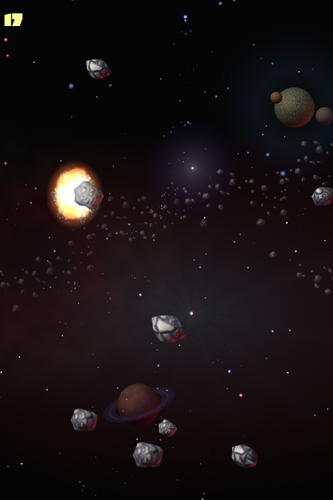 The asteroids appear randomly and the speed increases slightly every ten seconds. You get points for every asteroid you pass. The game can be played on smartphones and tablets or on PC with a mouse. Click or tap to jump. 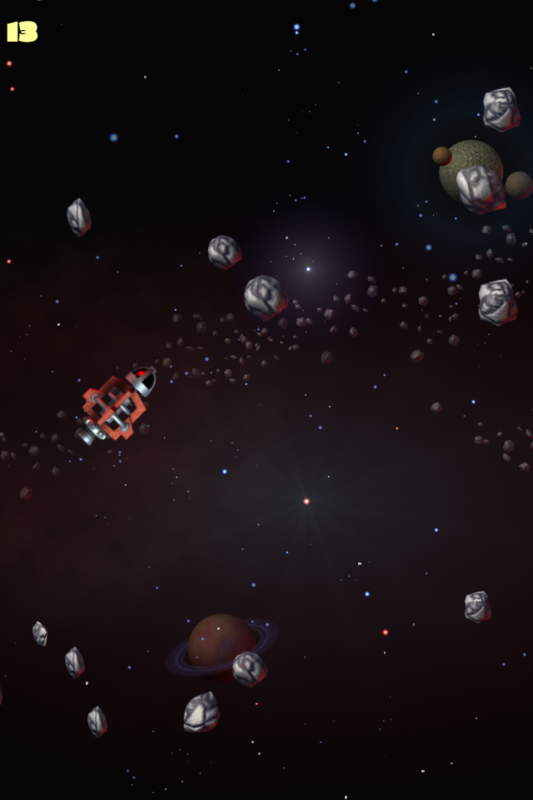 Use the fullscreen button for a better experience on small screens. If you want to intall the game for offline play on your mobile device home screen, click the link below to open the game from my site and then add it to your home screen from your browser menu.